Who Is Rick Simpson and What Is Rick Simpson Oil aka RSO? Rick Simpson oil aka RSO oil or Simpson oil has become an extremely popular form of medical marijuana. It’s been said that Rick Simpson oil has many medical benefits and is highly effective in treating cancer and other aggressive maladies. However despite its prevalence many questions remain including what exactly is Rick Simpson oil, how do you use it and how does it compare to CBD oil. Plus who the hell is Rick Simpson anyhow? So we decided to put together this definitive post about the activist and folk-hero known as Rick Simpson and explain why he and his RSO oil are stuff stoners like. Rick Simpson is now a famous Canadian medical marijuana activist who sort of accidentally discovered the healing power of cannabis. Back in 1997 while working in a Canadian hospital boiler room covering asbestos on pipes he suffered an accident. Because he was working with a really potent aerosol glue and the room he was in was poorly ventilated it filled with toxic fumes. This caused a shock to Rick Simpson’s nervous system. As a result he fell off a ladder, hit his head and was knocked out cold. When he regained consciousness fortunately he was able to get his coworkers to rush him to the emergency room. After the fall Rick Simpson suffered from continued dizzy spells and a non-stop ringing in his ears for years. Of course he was prescribed pharmaceuticals to treat his conditions. Not only did those pharmaceutical remedies have little effect on treating his conditions—they actually made his symptoms even worse. It wasn’t until Rick Simpson saw a documentary about the healing effects of cannabis that he decided to give the all mighty herb a try. However his physician was a non-believer. So Rick Simpson went out and sourced his own weed. After using it for a while he saw significant improvements in his tinnitus and other ailments. That was when Rick Simpson was convinced that marijuana was medicine. Rick Simpson didn’t realize the idea of creating RSO, a thick cannabis oil until 2003. That was the same year that three suspicious bumps appeared on Rick Simpson’s arm. His doctor decided to take a sample of the bumps for a biopsy since they looked to be cancerous. Sure enough they turned out to be a form of skin cancer called basal cell carcinoma. Since Rick Simpson had successfully treated his other issues with marijuana he was open to trying it on the cancer. Coupled with the recent knowledge he acquired after reading a study from the Journal of the National Cancer Institute in which THC was found to kill cancer cells in mice—he made the decision to treat his skin cancer topically. He did this by applying a healthy amount of concentrated cannabis oil to the bumps then placed a bandage over them and left them covered for four days. After those four days Rick Simpson removed the bandages and the cancerous growths had completely disappeared. Unfortunately his physician refused to acknowledge that the RSO oil had actually worked. Anyhow Rick Simpson was more of a believer in the medicinal powers of cannabis than ever before. From then on he began growing and harvesting his own weed so that he could create his special form of cannabis concentrate aka Rick Simpson oil or RSO. It also became his mission to give away free RSO oil to cannabis patients who needed it. He treated more than 5,000 patients. Meanwhile his doctor continued to refuse to acknowledge the benefits of the Rick Simpson oil. Plus Rick Simpson faced arrest and persecution. His house was raided on multiple occasions. And he had over 2,600 plants cut down and confiscated by the Royal Canadian Mounted Police. However Rick Simpson never gave up the fight. He continued to create and distribute his RSO oil and still spreads the word about his amazing product and it’s even more amazing ability to fight cancer. Is Rick Simpson oil legal in the US? Is CBD oil the same as Rick Simpson oil? CBD oil and Rick Simpson oil are not the same thing. While Rick Simpson oil does contain CBD it also contains a large amount of THC or the active ingredient in marijuana that delivers a psychoactive effect. Another key difference is that RSO oil is made from female cannabis flowers while CBD oil typically is not. CBD oil on the other hand commonly contains nothing but CBD aka cannabidiol. It can be derived from marijuana but it more often than not is made from help because hemp contains no detectable THC. CBD doesn’t deliver any psychoactive effects. In fact CBD combats the psychoactive effects of THC. This is why you can purchase CBD oil and other CBD-infused products in non-legal marijuana states. Because Rick Simpson oil contains a lot of THC, we’re talking in the range of 50 to 60% THC on average, it is only available in medical or recreational states. You can not purchase any Rick Simpson oil online for this reason. Actually you probably won’t find any official Rick Simpson oil for sale that’s because Rick Simpson brand RSO doesn’t exist. Rick Simpson doesn’t produce RSO for sale he only provides the necessary information to make it yourself. So if you see Rick Simpson oil for sale somewhere you can most certainly know that it wasn’t made by the man himself. However you can find products that are similar to Rick Simpson oil made by several companies. We’ve purchased a few here in California to help a few cancer patients that we know. Just make sure that of you purchase some pre-made Rick Simpson oil at a dispensary that you know that it contains whole-plant medicine. This means that the product contains not only the cannabis buds but everything that’s included in them. You’ll often find concentrates that are a combination of isolated cannabinoids like THC or CBD all by themselves. Those sometimes get combined into an oil. But for peak effectiveness you’ll just want to make sure that you find RSO that has everything found in marijuana flowers. Making rick Simpson oil at home isn’t difficult. If you’ve ever made cannabutter or any cannabis coconut oil then you’re close. Oh by the way according to Rick Simpson’s website he recommends that you use use Indica strains for best results. However a lot of patients like to use the strain that best suits their individual medical condition. So your mileage may vary. Anyhow the Rick Simpson oil recipe below will produce the full 60 grams of oil for a 90-day treatment regimen. If you don’t have that much weed on hand or are looking to make a smaller amount then all you have to do is a little math. Divide this RSO recipe into smaller amounts. For instance an ounce of weed or 28 grams will produce about 3 to 4 grams of Rick Simpson Oil. Be very careful with the solvent That stuff is highly explosive. So as you continue with this recipe just make sure that you extinguish any and all flames. You don’t want to be smoking a joint anywhere near solvents. Also it’s not completely necessarily to use a rice cooker however it works super well. You can probably pick one up at the local thrift store or even the local corner store. Avoid using a crockpot because those things get way too hot and will boil off all the beneficial ingredients. The rice cooker should keep your RSO oil at a steady 210 to 230 degrees Fahrenheit (100 to 110 degrees Celsius)—the perfect temperature for decarboxylation to occur. This will transform the non-psychoactive THCA inside your cannabis into THC—it’s psychoactive form. Begin by placing your weed or shake in the five gallon bucket. Pour in enough solvent so that all your marijuana matter is completely covered. Now stir it up using the wooden spoon. It’s a good idea to crush up the marijuana as you stir it. Continue stirring the mixture for about three minutes. As you do this the solvent will dissolve about 80% of the THC and other cannabinoids including CBD. Drain the solvent from the plant material through a cheesecloth and into your bowl. Place the plant material back in the bucket and add more solvent. Continue stirring for another three minutes to leach out as many cannabinoids as possible. Now you can drain the solvent from the plant material. Pour the liquid and solids through the cheesecloth and into the bowl once again. You can now toss the spent marijuana material. Pour the solvent into your rice cooker so that it’s about three-quarters full and switch it on. As the rice cooker works it will slowly evaporate your solvent. Just continue to add more mixture gradually to the rice cooker. Again ensure that your rice cooker is in an open, well-ventilated area and avoid all flames. Once all the solvent has evaporated you should be left with a thick paste. This is Rick Simpson oil. Now all you need to do is siphon the oil into a syringe for easy dosing. The RSO will be very thick. Run the syringe under hot water or drop it in the microwave for a few seconds to heat up the RSO slightly so that you can easily dispense it. How do you take the Rick Simpson oil? If you’re a medical patient you should always check with your doctor before treating yourself with marijuana. But because there are many medical professionals who are against marijuana or just ignorant about its medical benefits you might be on your own. Don’t fret dude a RSO regimen is really simple. Below we’ll explain exactly how to use Rick Simpson oil internally. You take rick Simpson Oil by eating it in small doses. RSO tastes slightly bitter. It’s not the best tasting stuff but it is the best medicine of its kind. Patients can try swallowing it whole or try mixing it in with other food. We hear that fruit, particularly bananas, are great for masking the flavor of Rick Simpson Oil. Do not try to dab it or smoke it. The goal for each patient is to gradually eat 60 grams of Rick Simpson Oil over the course of a 90-day period. Start slow and work your way up to larger amounts of RSO as you go along. Here’s our recommendation. Week 1: Take three doses daily. For this first week take things easy. You’ll only be eating RSO that’s about the size of a half a grain of rice. This about a quarter of a drop of RSO from a typical plastic syringe. You’ll want to eat this amount of Rick Simpson oil three times each day—morning, noon and night. Week 2-5: Double the dose every four days. During weeks two through five you’ll be slowly increasing the amount of RSO you consume. 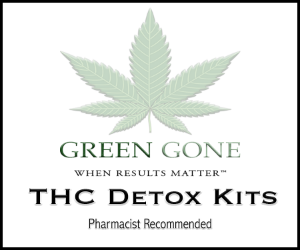 The average person will reach a full gram of RSO during this phase. This is pretty much a standard dose. Weeks 5-12: Eat a full gram of RSO daily until you’ve consumed the full 60 grams. You can also apply RSO oil directly to any skin cancers just like RIck Simpson did. He slathered a generous amount of the cancerous bumps on his arm and then covered them with a bandage. He left the bandage and RSO oil on for four days and had overwhelmingly positive results—his cancer was gone. Does Rick Simpson oil get you high? Because Rick Simpson oil is very high in THC it does have the potential to get a person high. So if you’re a patient just be careful. For some people this might be a great distraction from the pain and or mental anguish that they’ve been experiencing. For the recreational enthusiasts there are plenty of better, less expensive and more efficient ways of getting high. This Rick Simpson oil stuff is best left for those who need it for medical reasons. Rick Simpson oil side effects mostly include sleepiness. This is a natural part of the healing processing anyhow so don’t be alarmed. However daytime sleepiness should fade in about three to four weeks. Because patients are also ingesting a lot of THC another side-effect will be a bit of psychoactive effects. However as a patient continues to take RSO their tolerance will increase. After a while patients will be able to function normally while feeling the psychoactive effects. Keep in mind that Rick Simpson oil is not a magic cure all for medical maladies. But many patients including several stricken with even the most aggressive forms of cancer have experienced significant relief from their medical symptoms and conditions with the use of RSO. To lean more about Rick Simpson Oil from the man himself please visit Rick Simpson’s website and tell him that Stuff Stoners Like sent ya. Have you ever made or tried Rick Simpson Oil? Did the RSO oil help you with your condition? Let us know in the comments section below.